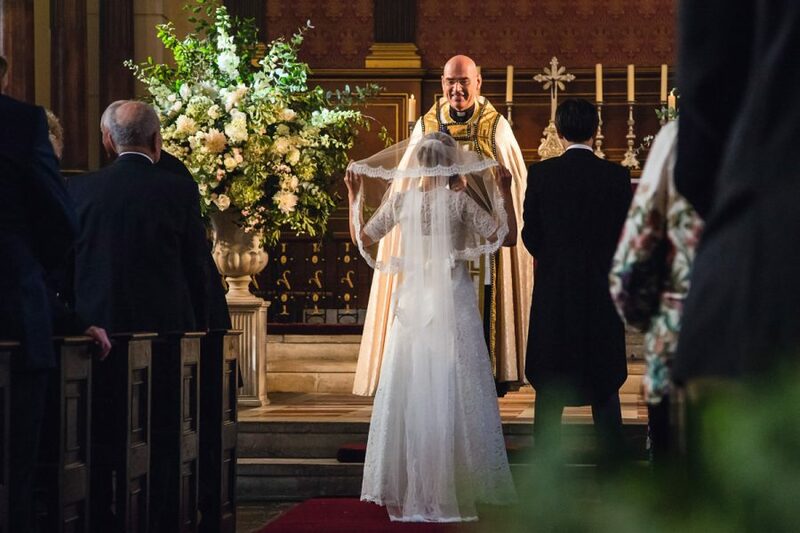 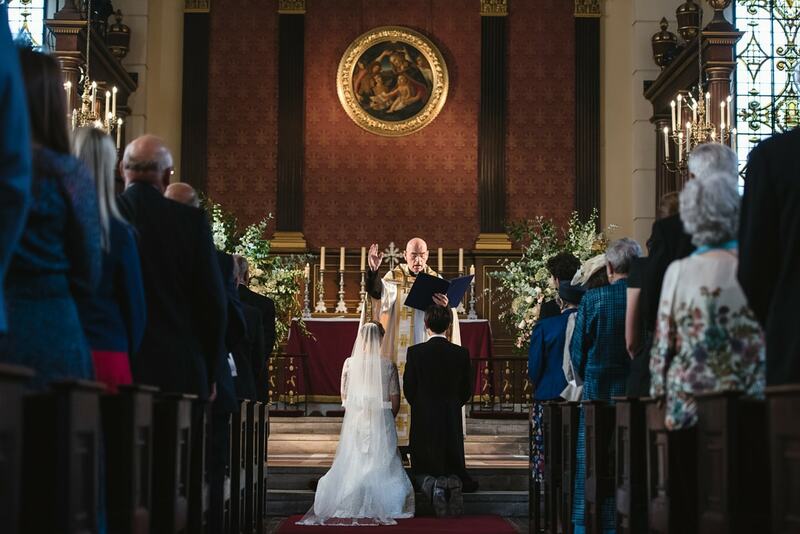 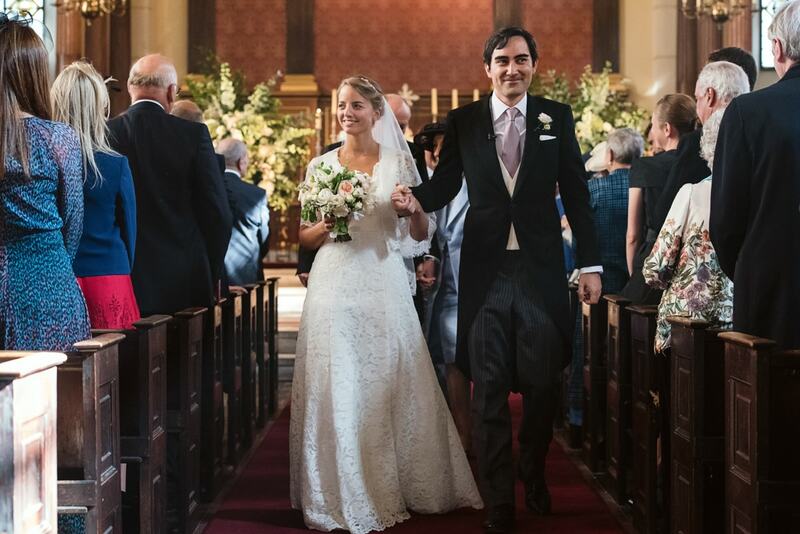 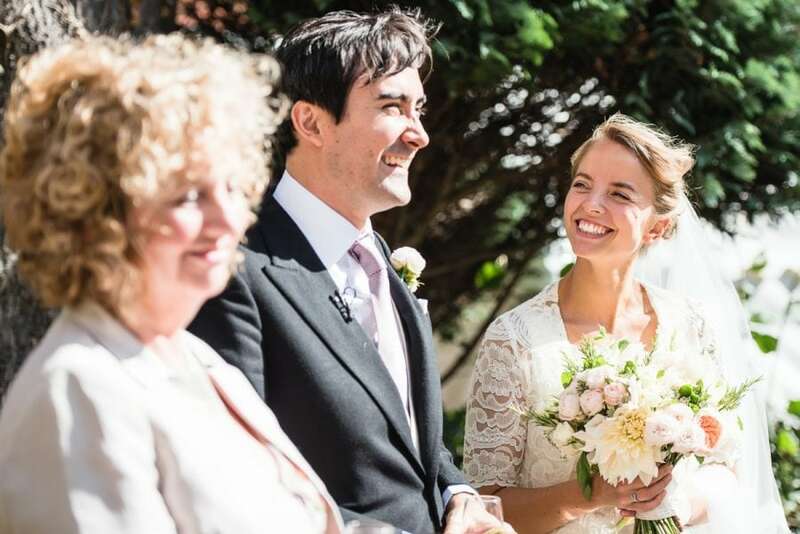 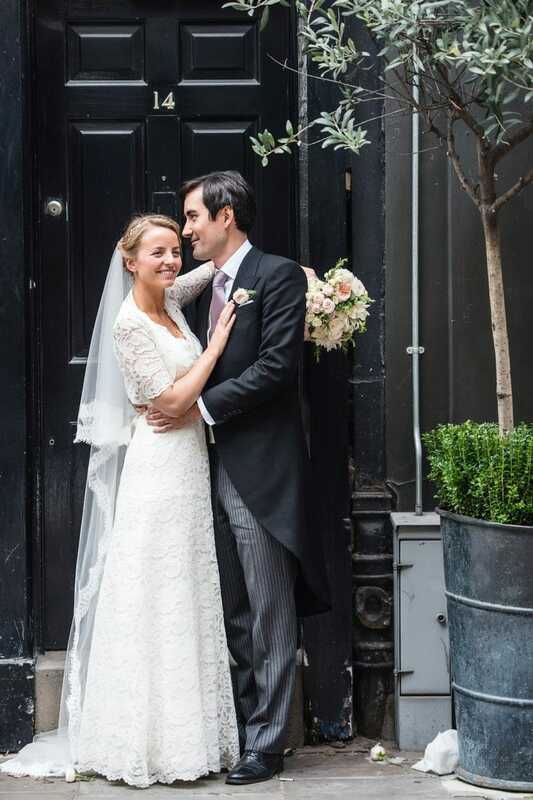 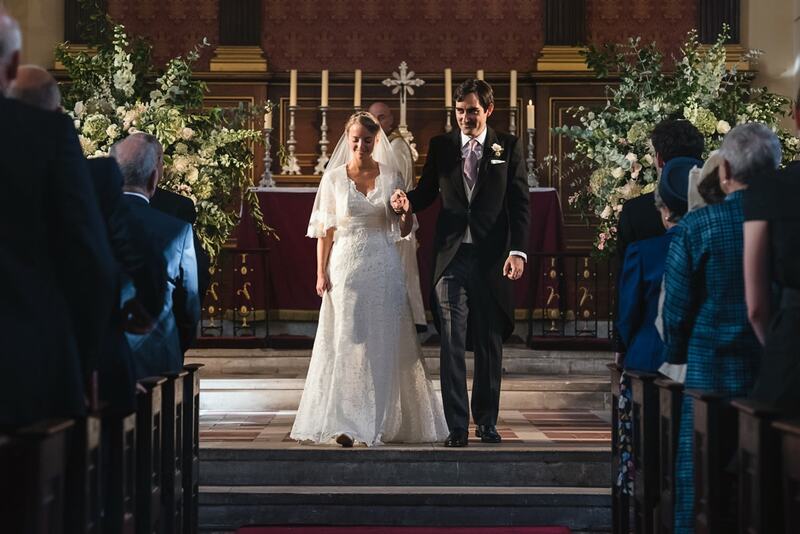 Max and Amelia got married at St Paul’s Church, also know as the actor’s church. 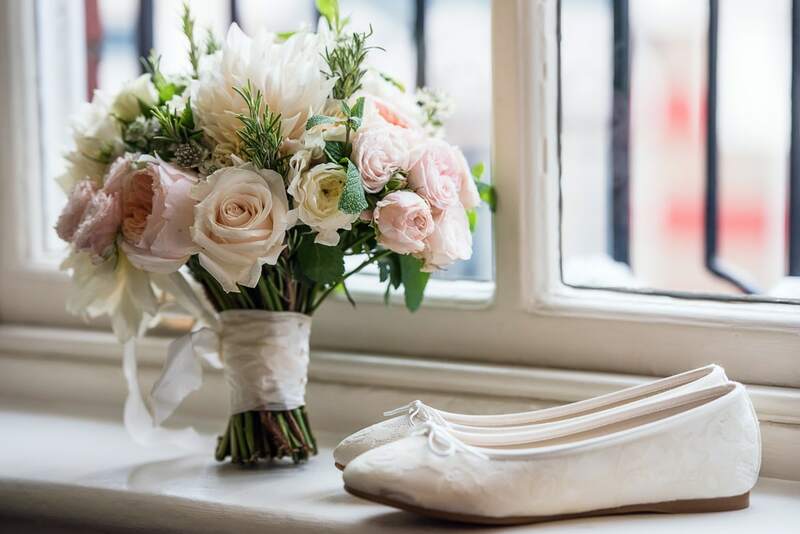 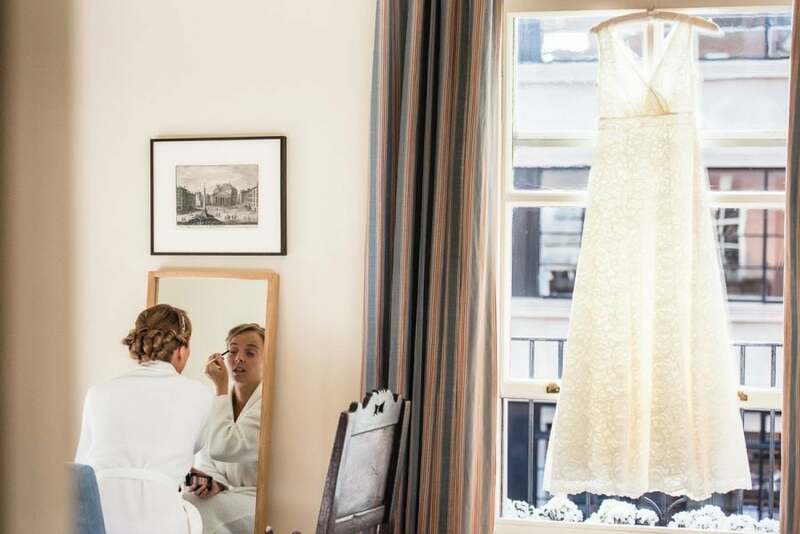 It’s an iconic building in a charming courtyard right in the heart of Covent Garden. 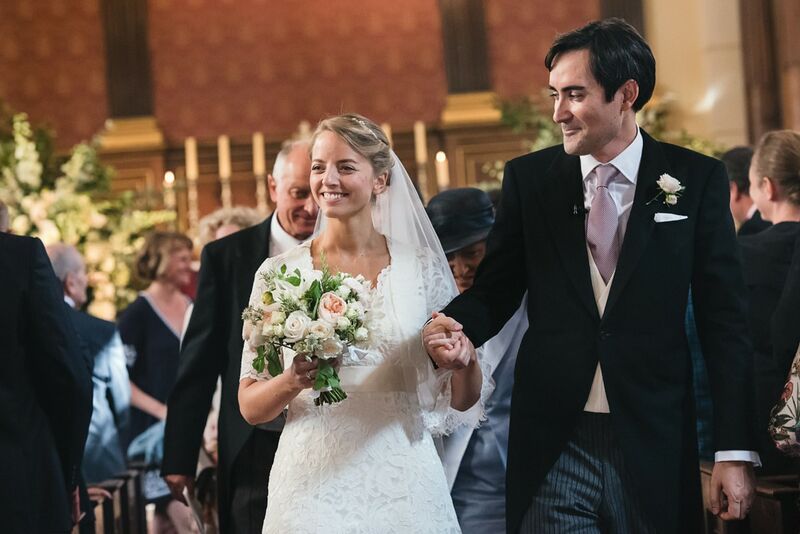 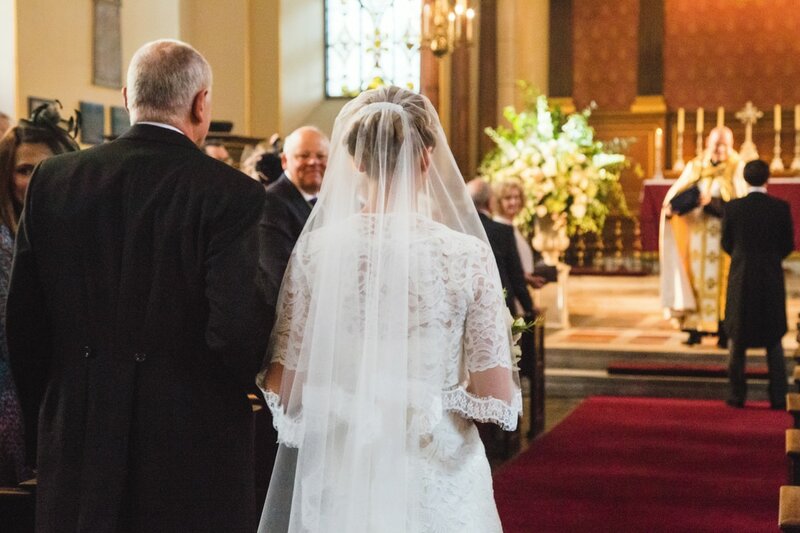 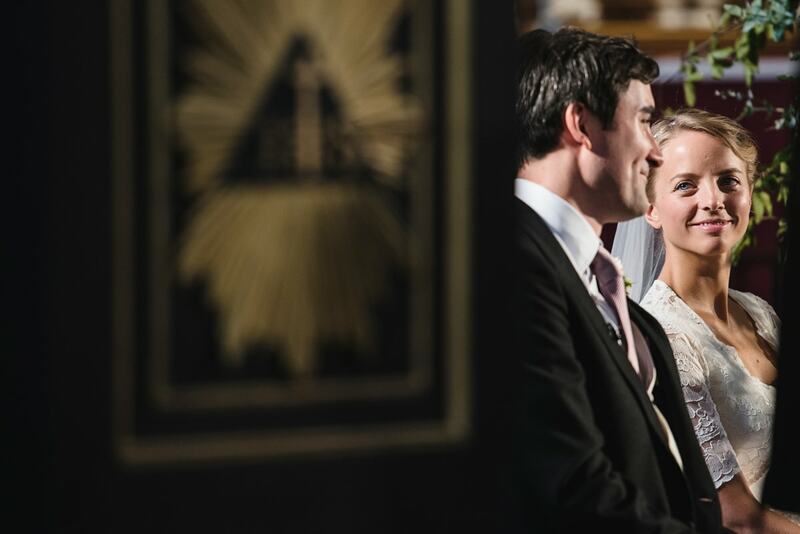 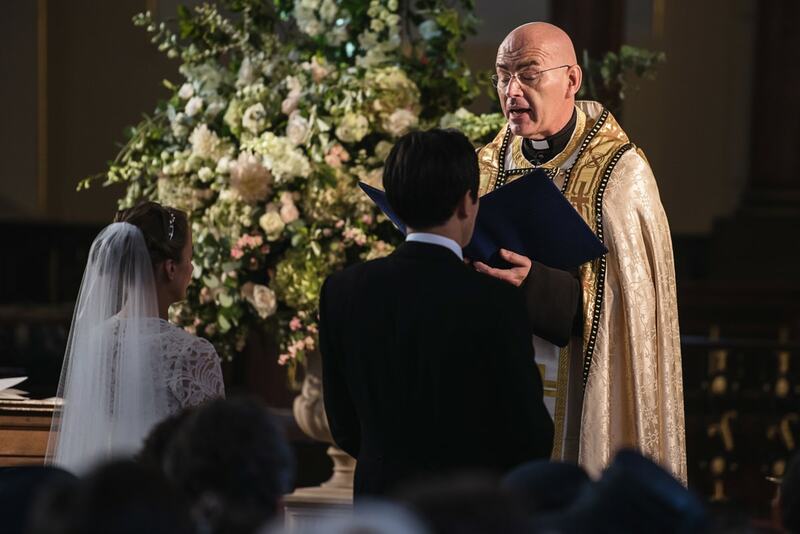 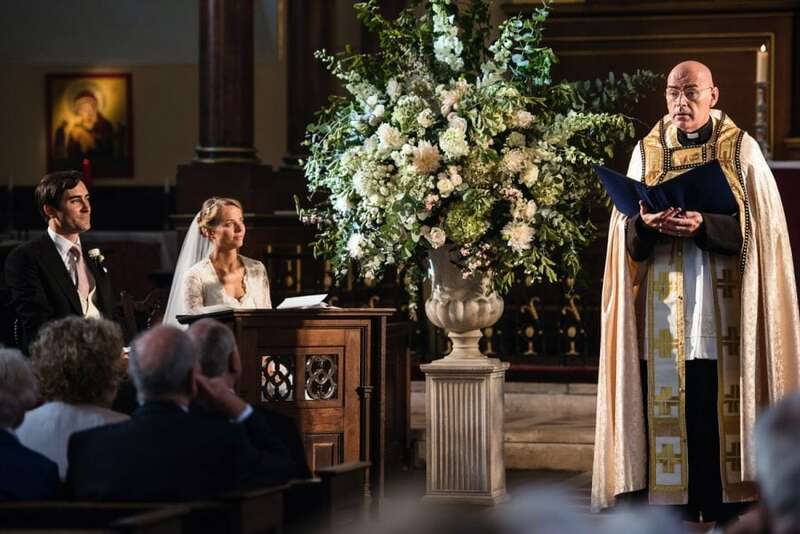 The church has always been close to their hearts, although when Amelia suggested they elope at St Paul’s, Max got in touch with the Cathedral! 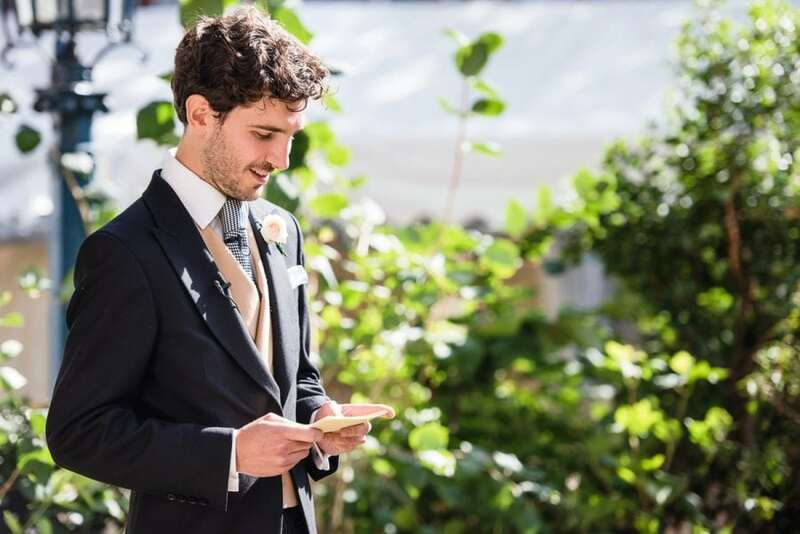 Max is an architect and had, consequently, fallen in love with the Inigo Jones’ building…he even restored the stone floor! 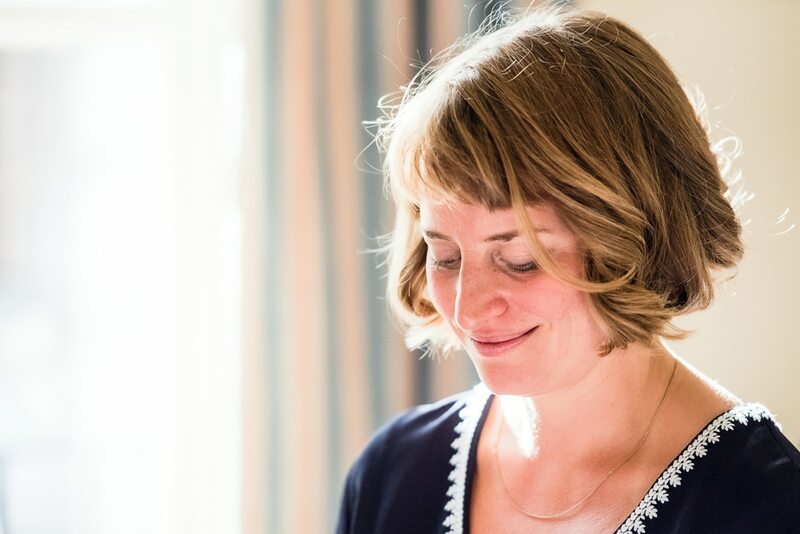 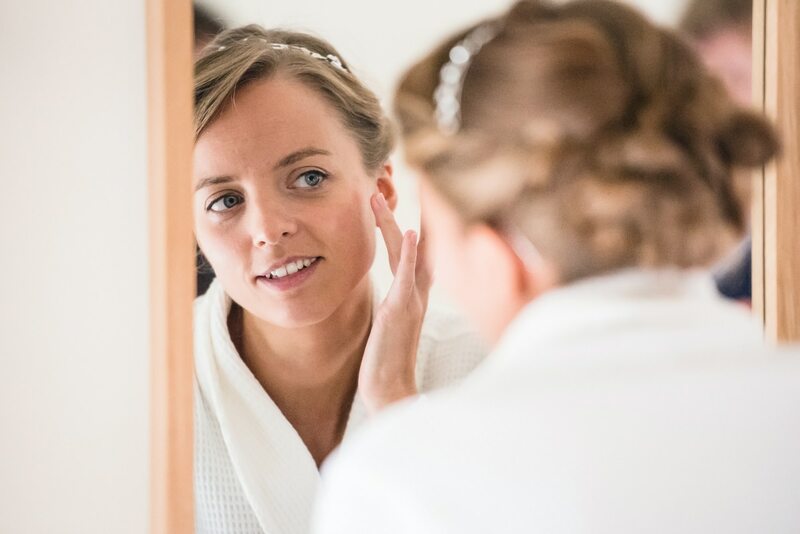 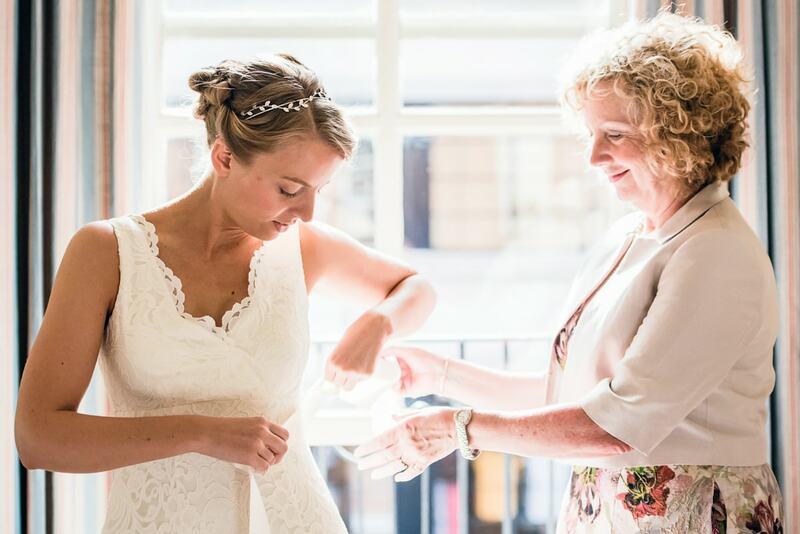 I went to photograph Amelia getting ready at her gorgeous London apartment, just five minutes away from the church. 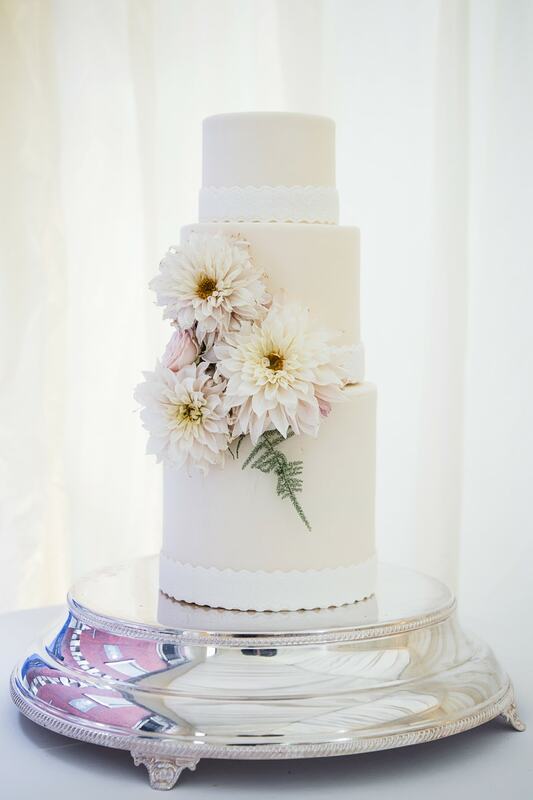 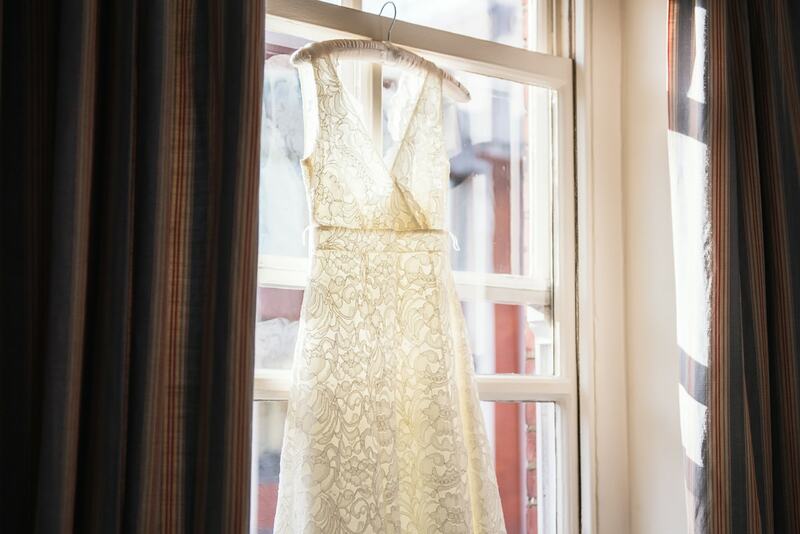 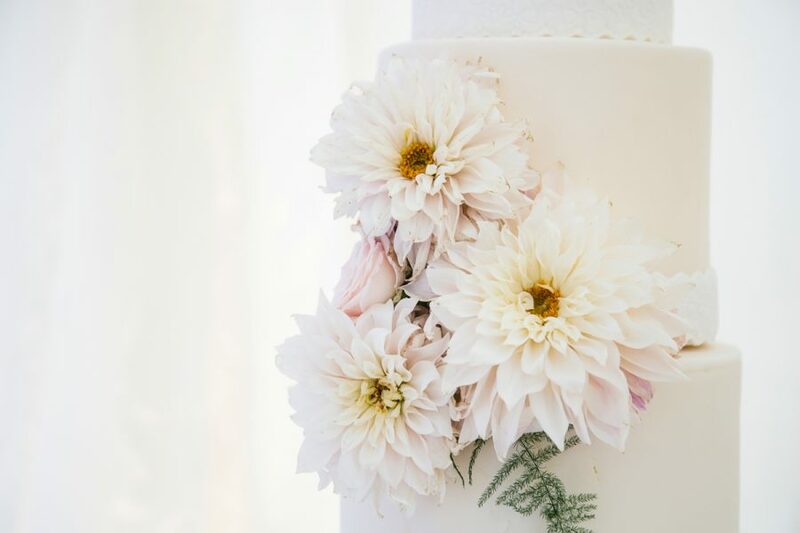 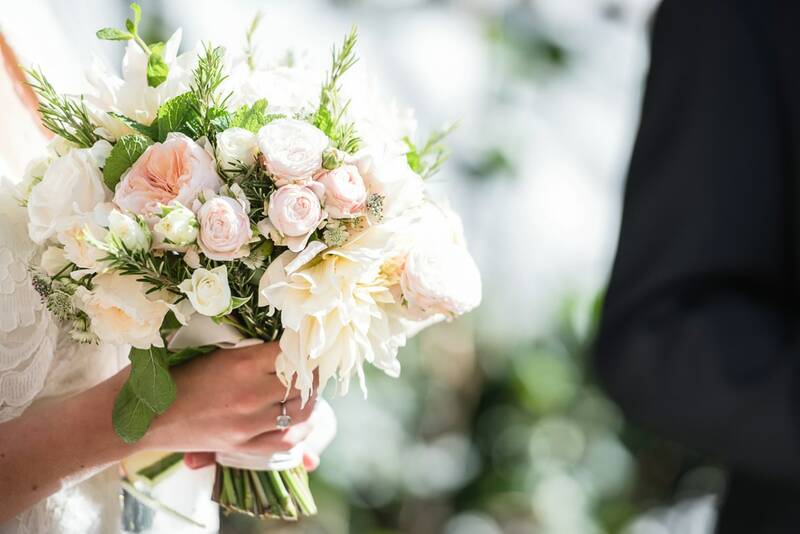 She had a beautiful dusky pink bouquet and a classic, lacy, a-line dress. 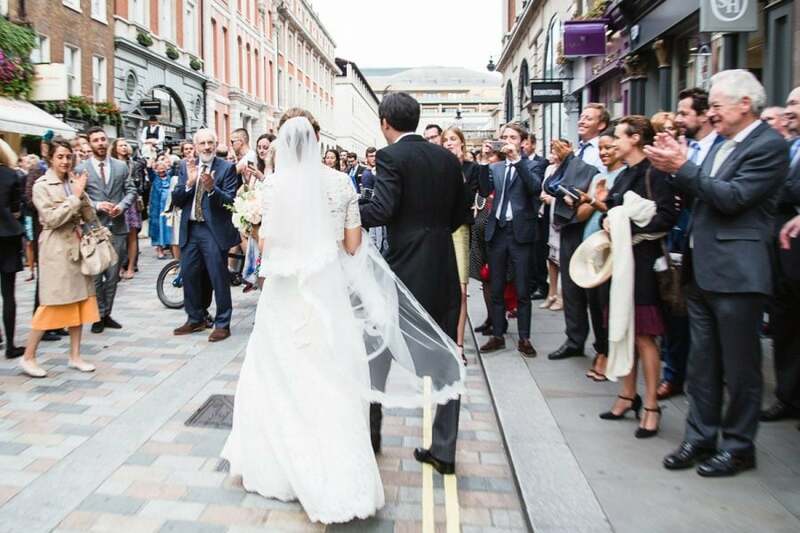 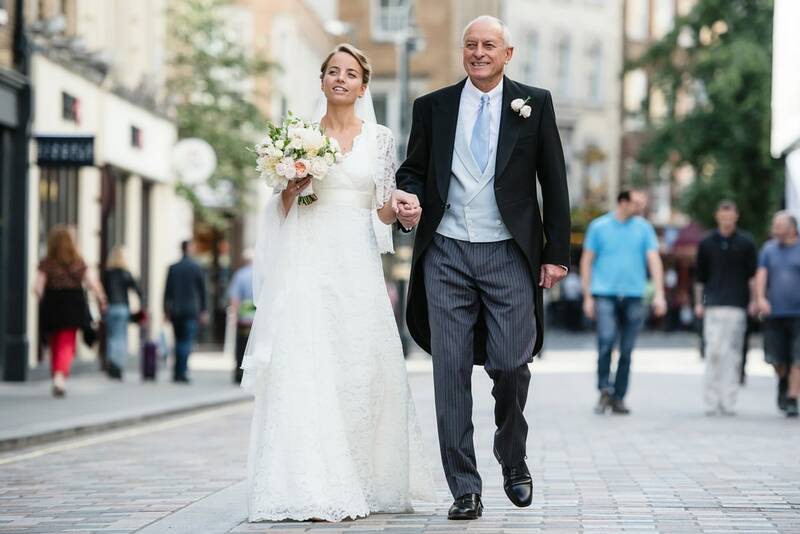 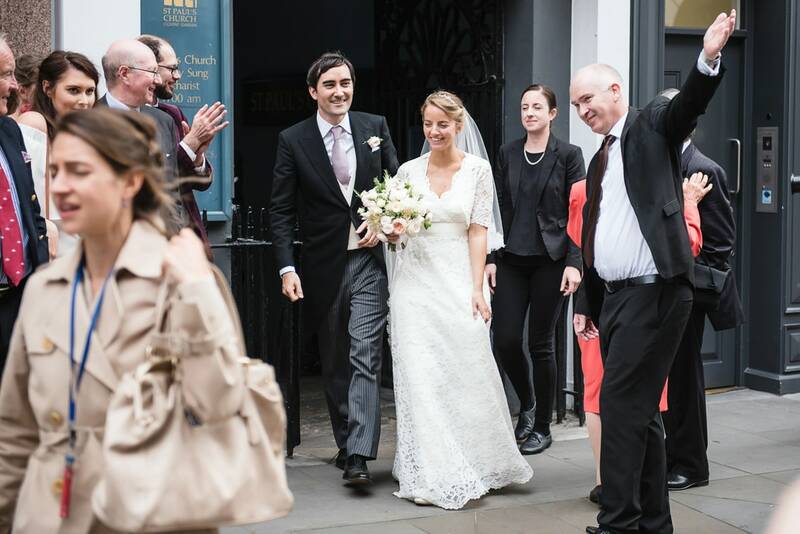 It was a warm September day so Amelia walked to the church through the streets of Covent Garden with her father. 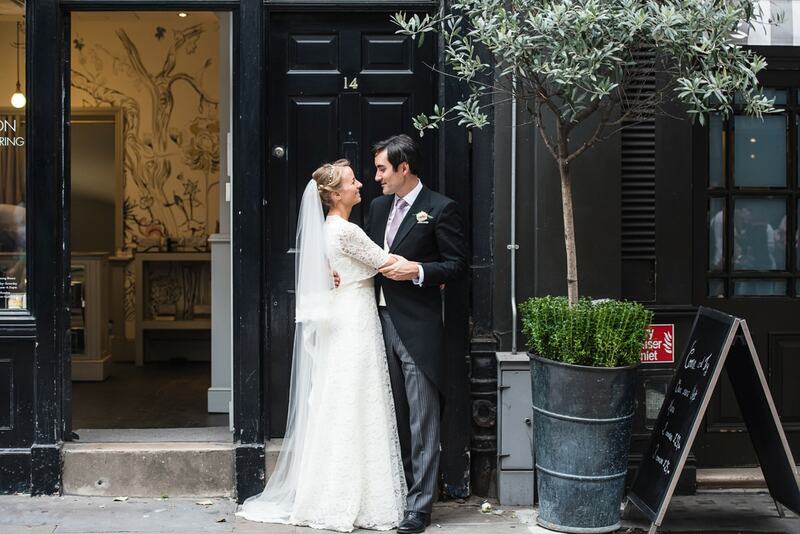 The venue looked spectacular and was adorned with lots of vibrant flowers and romantic candles. 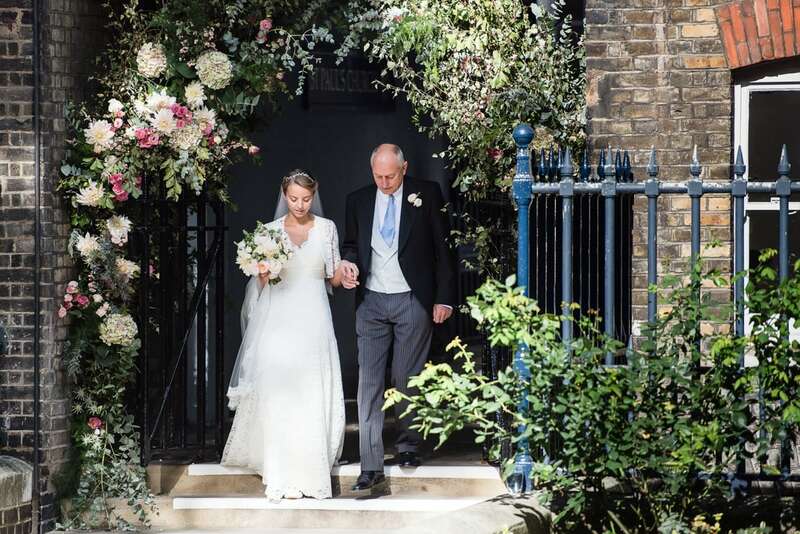 The florist had also created a wonderful floral arch for the bride and her father to enter the courtyard through. 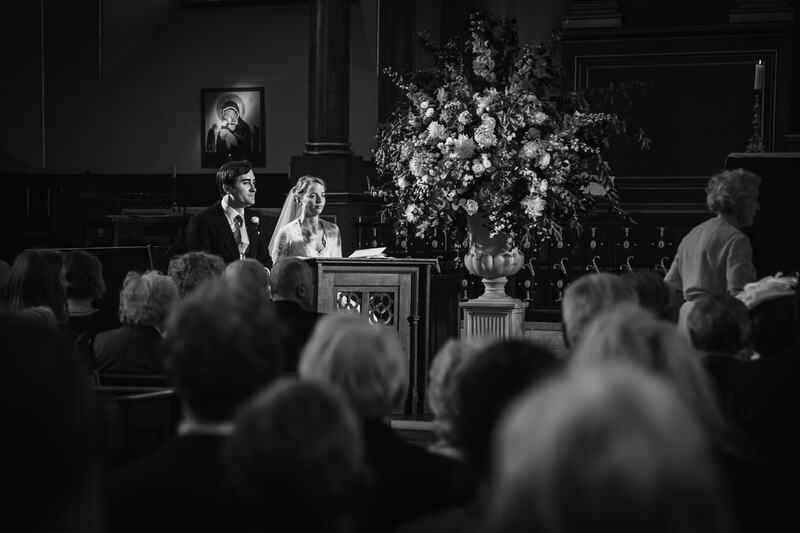 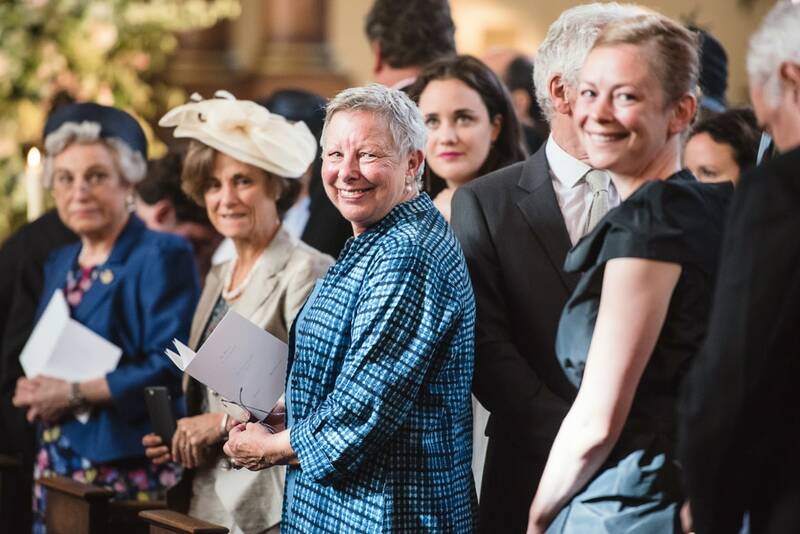 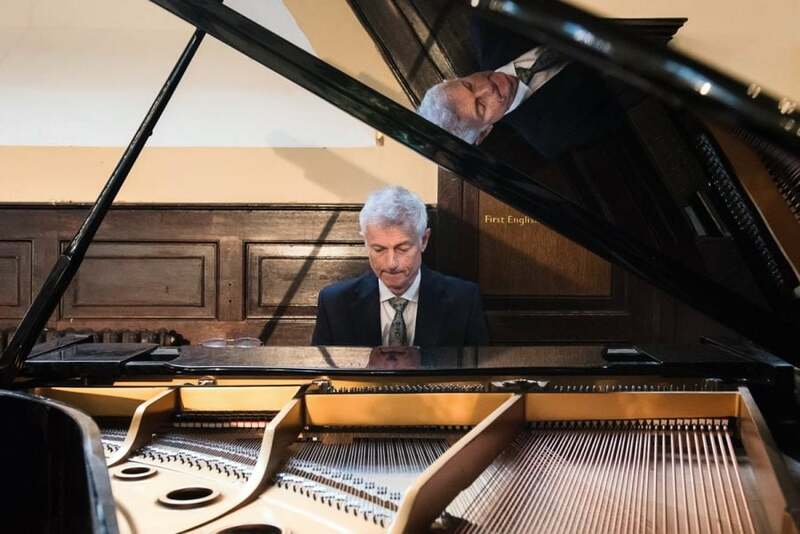 The ceremony was traditional with a talented pianist and a fantastic choir. 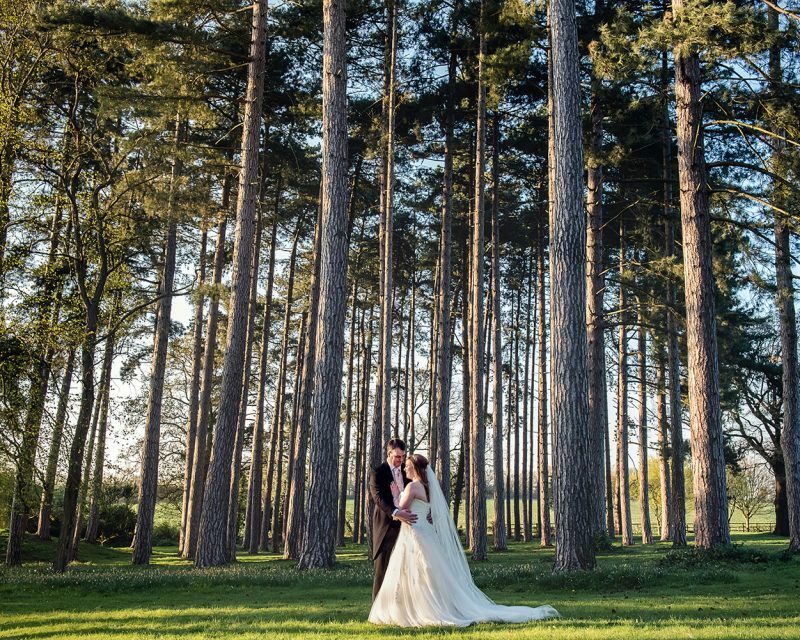 It was a joy to photograph! 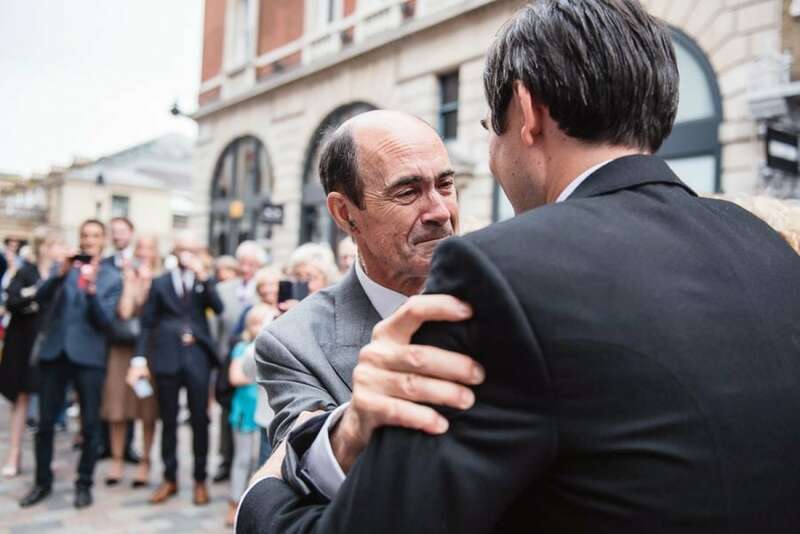 After the ceremony, speeches were held outside in the courtyard. 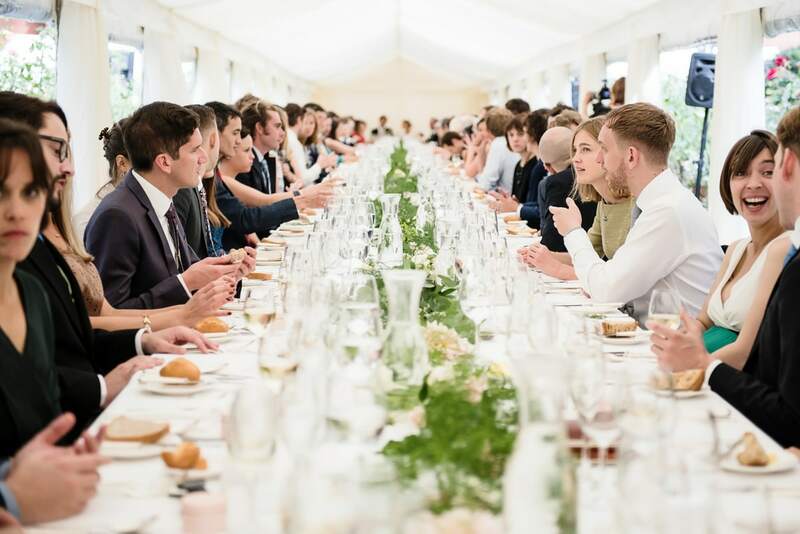 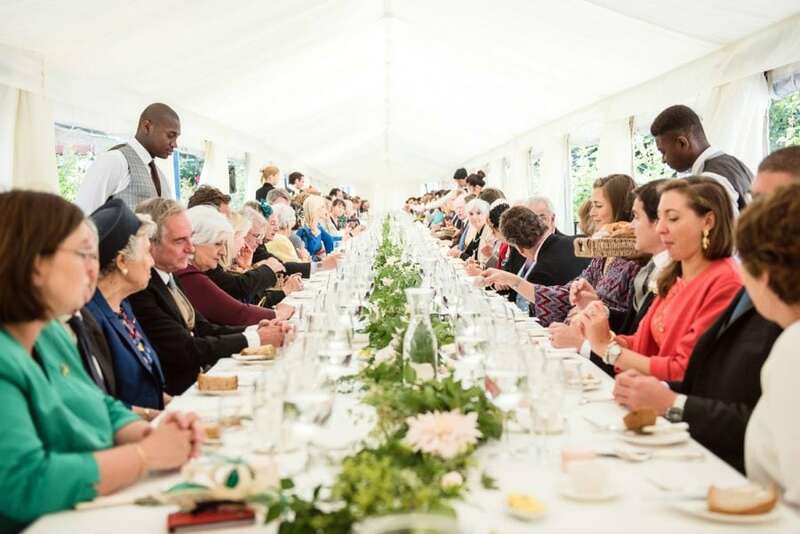 As an Italian family, the Lacey’s were very much into their food and an exquisite four course meal followed in the marquee. 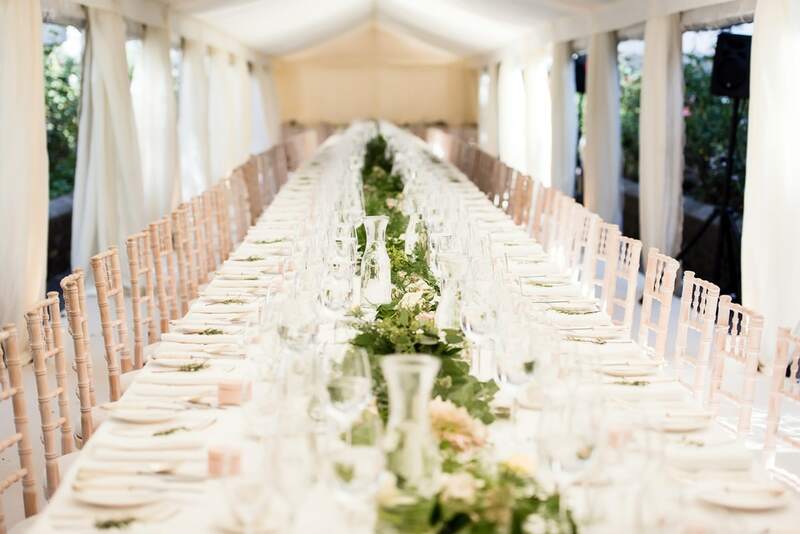 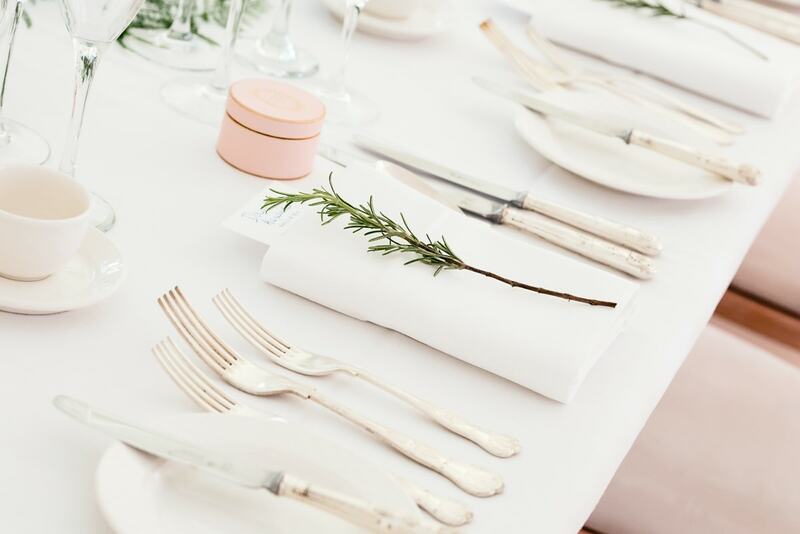 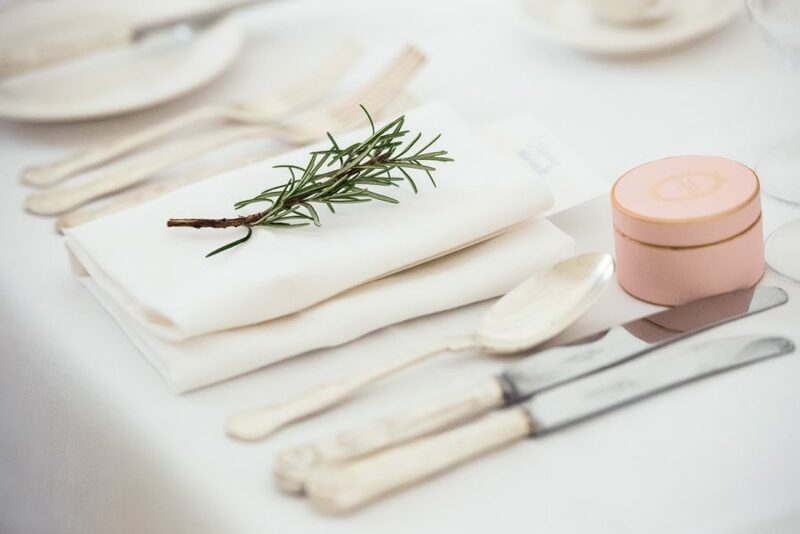 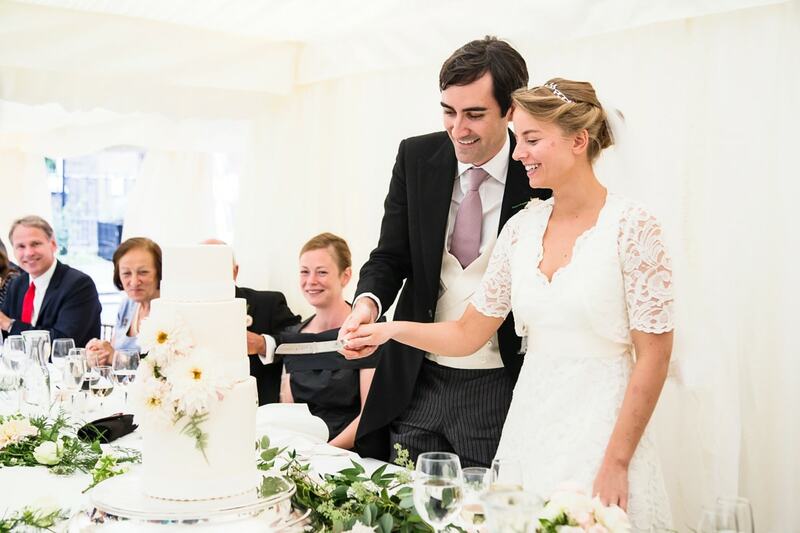 There were beautifully laid long tables, pink chocolate box favours and sprigs of rosemary symbolising fidelity and luck. 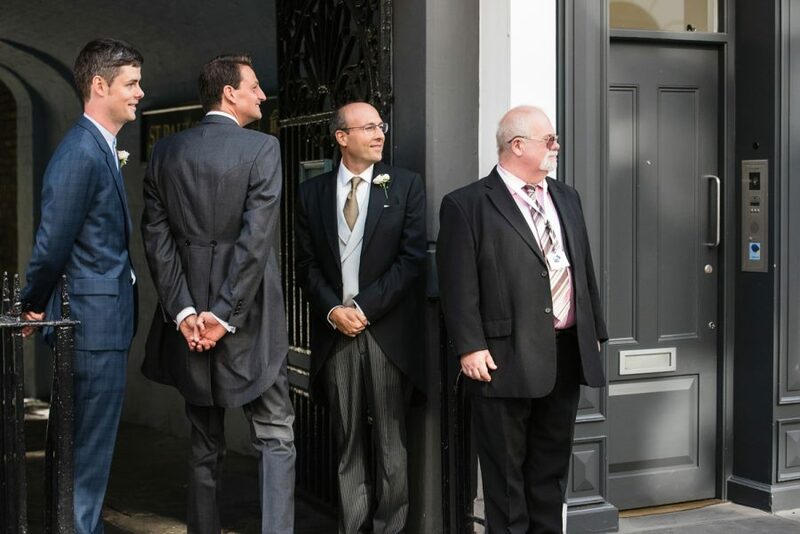 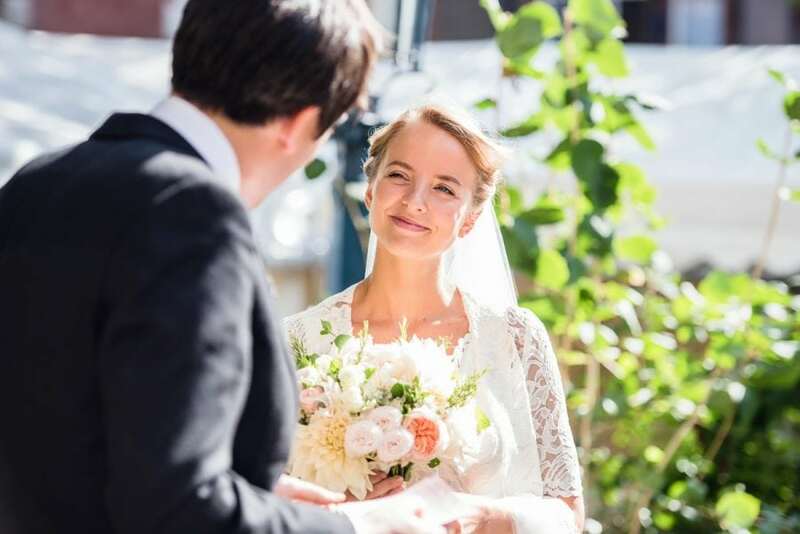 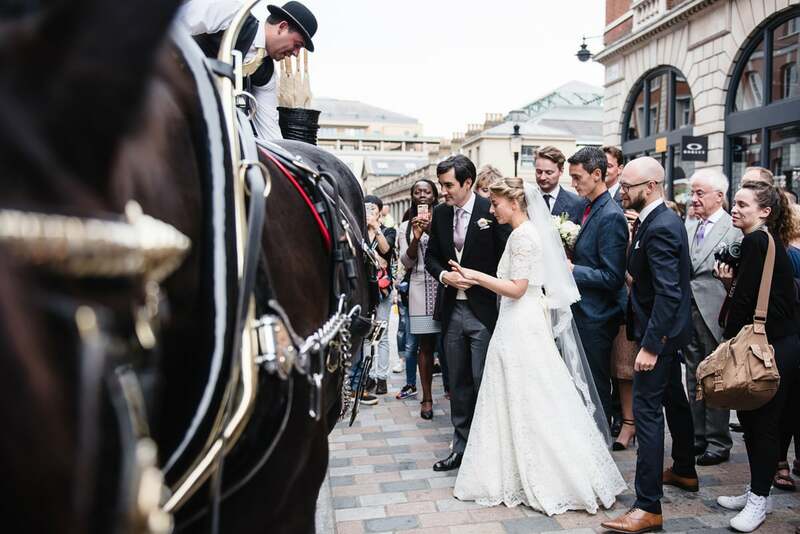 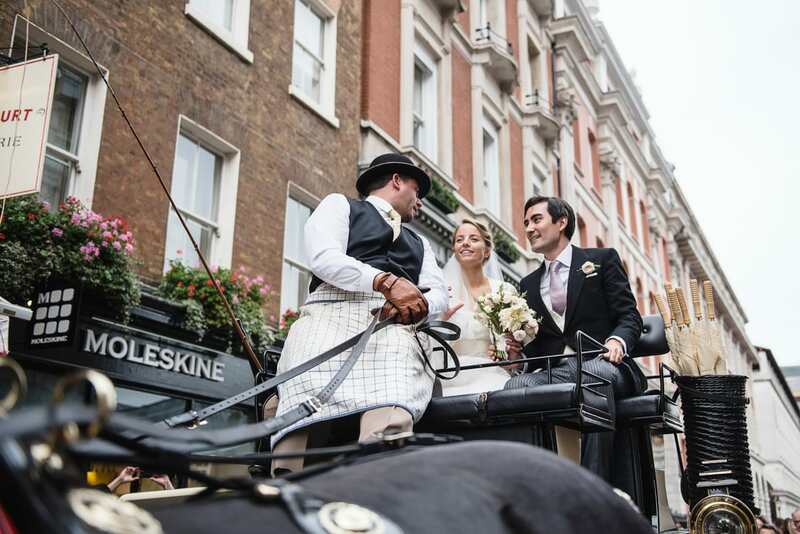 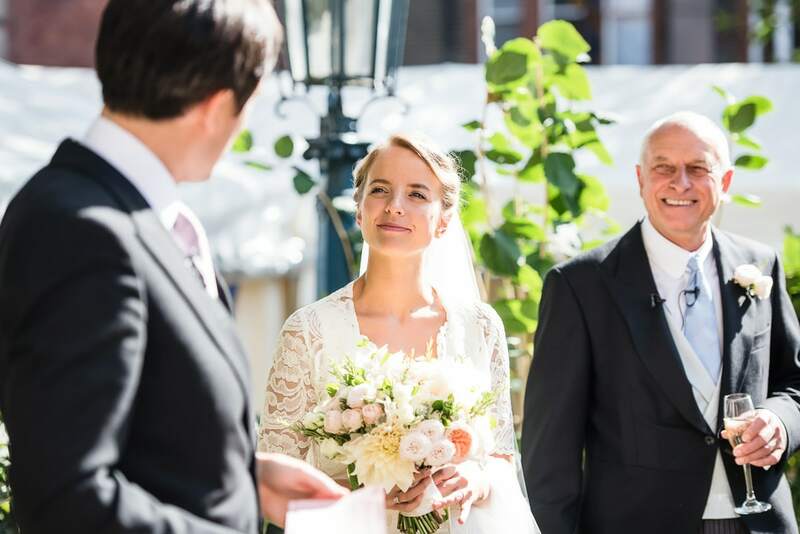 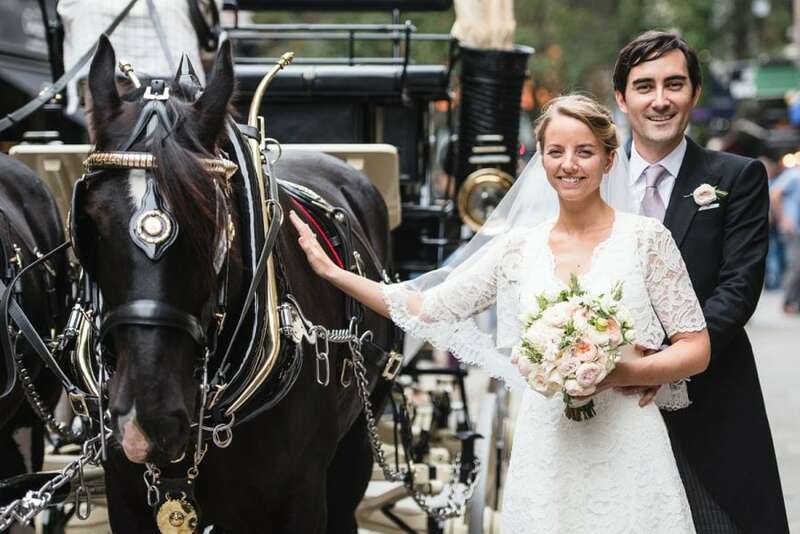 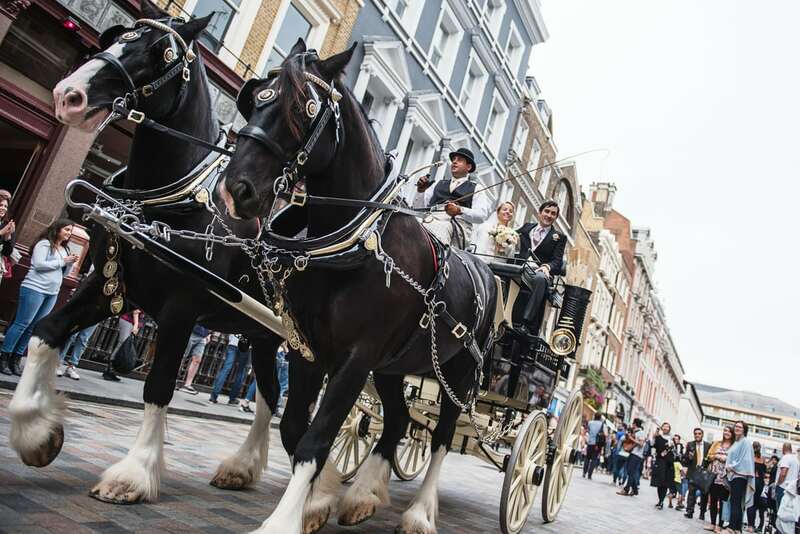 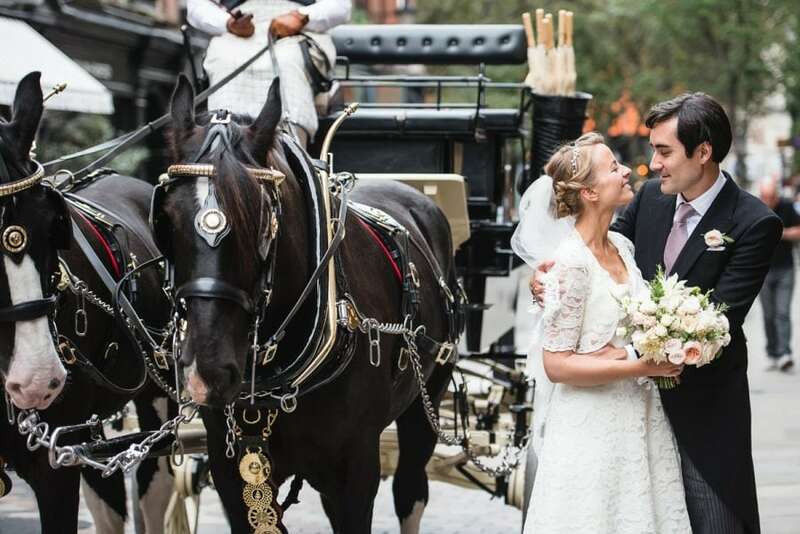 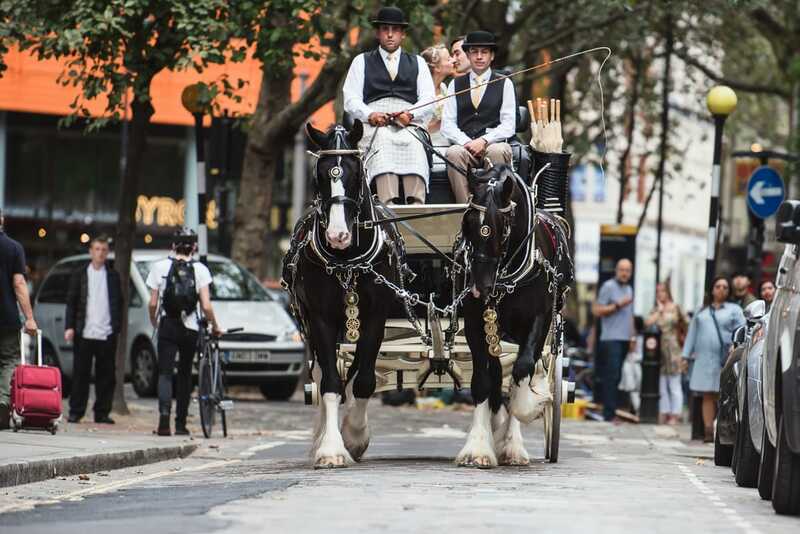 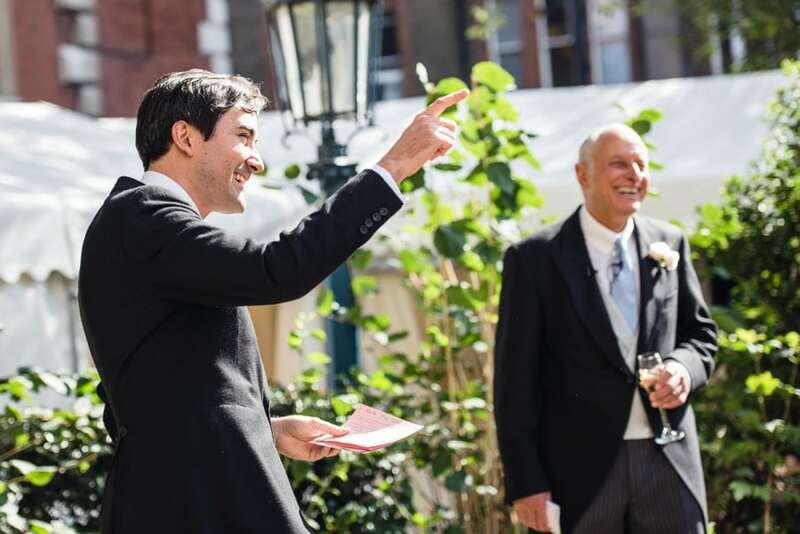 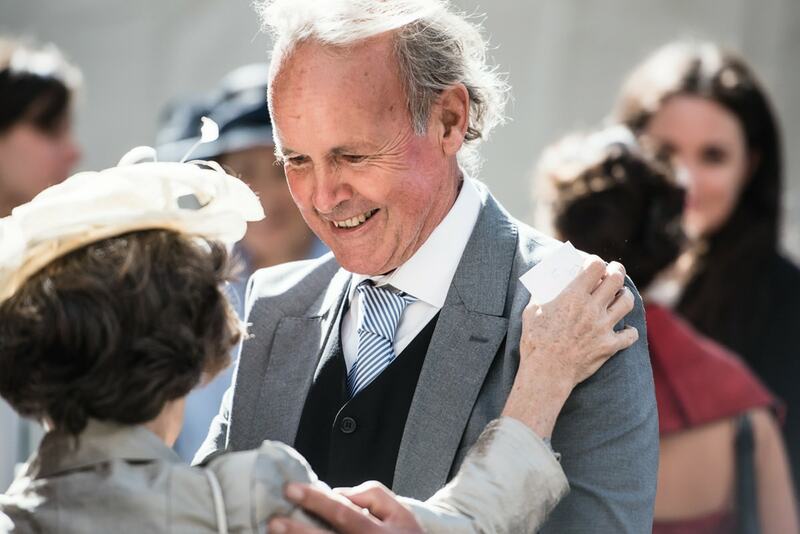 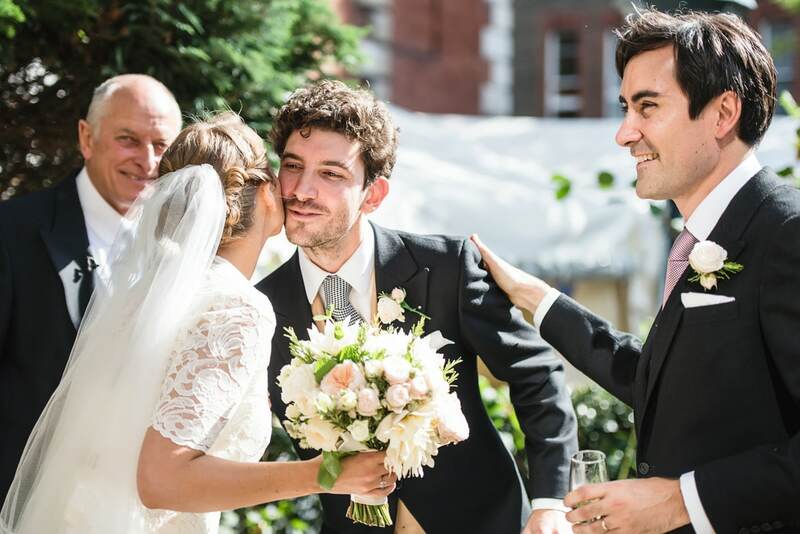 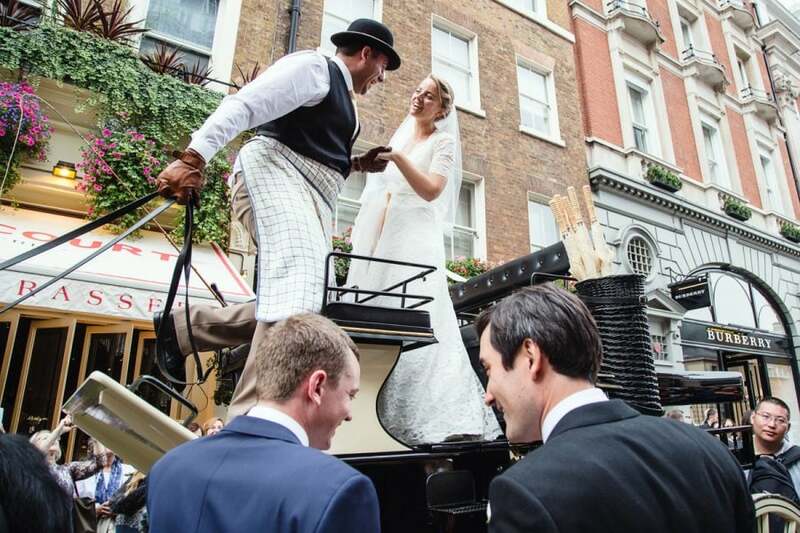 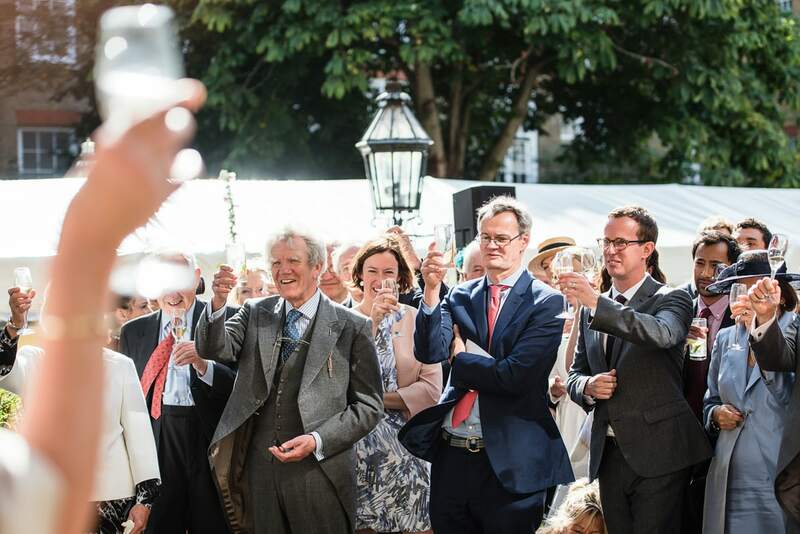 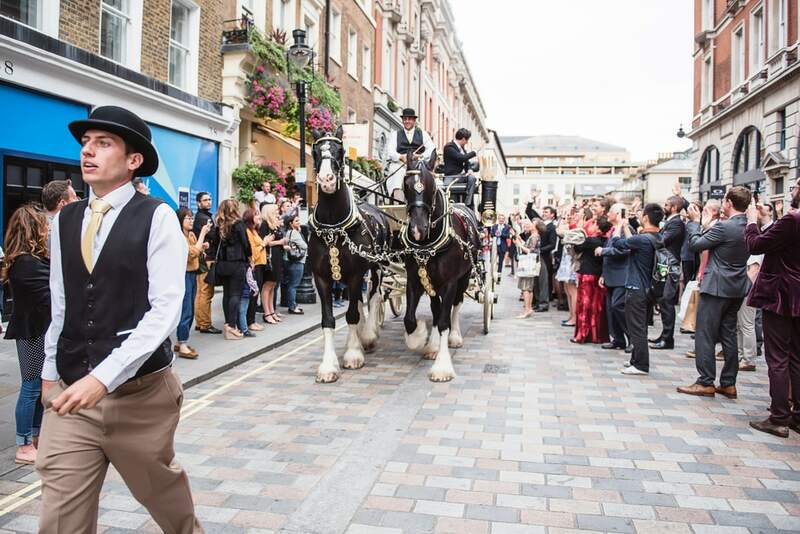 The couple were set to leave for their honeymoon in Crete that evening so all the guests congregated in the courtyard to wave them off in a spectacular horse and carriage! 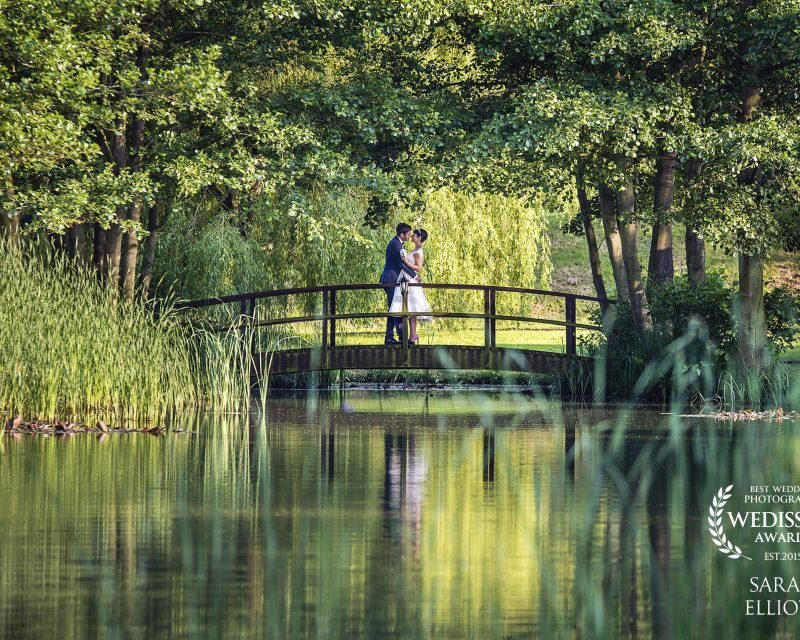 Max and Amelia, thank you for letting me capture your big day…and what a gorgeous day it was.